We returned from Shanti Stupa and stayed in Ladakh for the night as our next day destination was in Ladakh only- the Pangong Tso. The very next day, we got up in the freezing cold morning and had the energizing Kadha. It was very tasty and ravishing. Then we had our breakfast and started towards our next expedition. 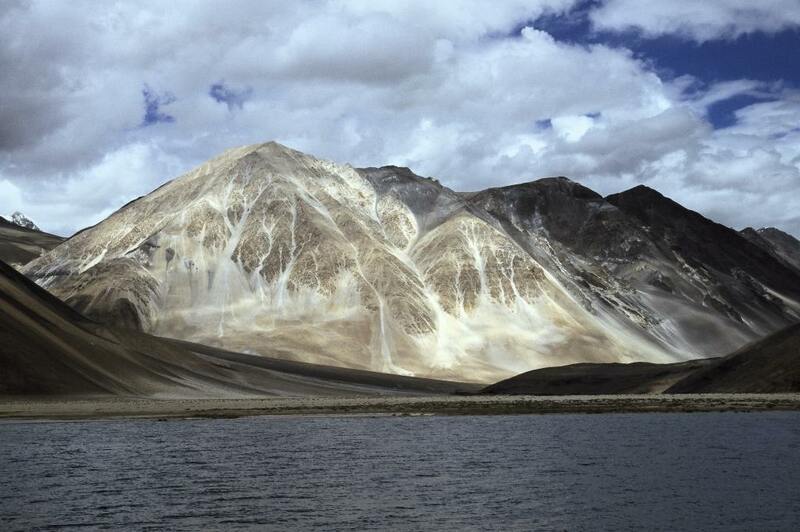 Pangong Tso drive takes around five hours from the district of Leh. The route through which we were passing was along the beautiful Ladakh countryside, and was passing over the world’s third highest mountain pass (5289 m) that enabled motor drive. I asked meaning of the name “Pangong” to the local driver, who was taking us to the destination. 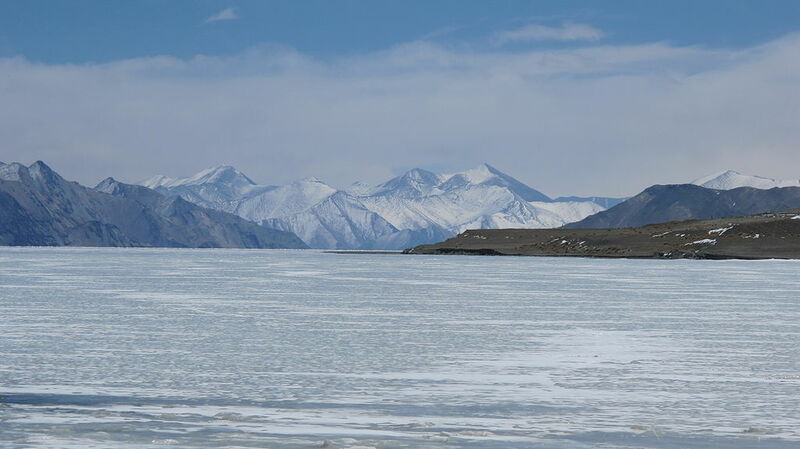 He told that it is a derived from the Tibetan word “Banggong Co” which means “long, narrow, enchanted lake”. He further enriched us with the knowledge that about one third portion of the lake is in India and the left over two thirds is in Tibet and is in control of China. Most of the watercourses, which load the lake, are situated on the other side. We reached the place and immediately recalled the scene from the move “three idiots”. This was the place where in the movie, the heroine rides on a scooter in wedding dress to meet the hero- Aamir Khan. Though earlier seen in the movie, we were amazed by the beauty of this lake which was sited in the upper regions of the Himalayan Mountain range. One of the most astonishing features of this lake is its forever changing hues. During winter season, the water of the lake completely freezes, besides the fact that it is a saline water lake. But the saltiness hinders growth of any vegetation or aquatic life in the lake. Though, there were a lot of migratory birds flocking around the lake, which is an important breeding place for them. The place is a paradise for photographers and I was not missing any moment to be captured. Camping on the shore is the only choice to witness the beauty of the sunset and the sunrise, but owing to harsh weather conditions, we opted out. This entry was posted in Attraction, Historic Places, Tourist Place, Travel and tagged jammu & kashmir, pangong tso in ladakh. Bookmark the permalink.